Jean-Michel Geneste is a professor and Conservateur Général du Patrimoine for the French Ministry of Culture. He has been curator of Lascaux for more than twenty years and led the Chauvet Cave research team in France. 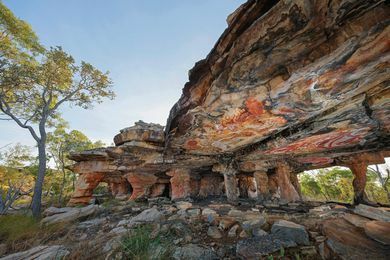 A spectacular rock-shelter in Arnhem Land, in Australia’s far north, questions assumptions about the nature of design, provoking reflection on the boundaries between the natural and the built.